To All Things...An Ending! They've cheated death on more than one occasion, but now, finally, for Wedge Antilles and the other members of Rogue Squadron, their number may finally be up. 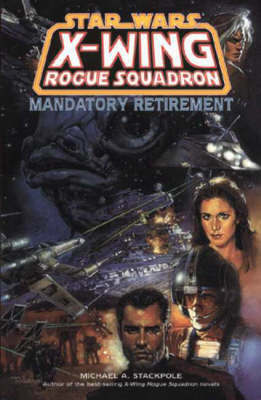 Join us, for the final chapter in the incredible, galaxy-spanning X-Wing Rogue Squadron series - Mandatory Retirement. The New Republic's crack team of X-Wing pilots are called in for a routine mission, unaware that forces within the Empire are plotting to make sure it's their last. Ambitious manipulator Ysanne Isard and the embittered Admiral Krennel are making their own power play, one that will bring the Rogues into direct combat with a fleet of Star Destroyers. It's do or die time again for Wedge and the others, but this time there may be less doing and more dying!